Liddle's syndrome, also called Liddle syndrome is a genetic disorder inherited in an autosomal dominant manner that is characterized by early, and frequently severe, high blood pressure associated with low plasma renin activity, metabolic alkalosis, low blood potassium, and normal to low levels of aldosterone. Liddle syndrome involves abnormal kidney function, with excess reabsorption of sodium and loss of potassium from the renal tubule, and is treated with a combination of low sodium diet and potassium-sparing diuretics (e.g. amiloride). It is extremely rare, with fewer than 30 pedigrees or isolated cases having been reported worldwide as of 2008. This syndrome is caused by dysregulation of the epithelial sodium channel (ENaC) due to a genetic mutation at the 16p13-p12 locus. These channels are found on the surface of epithelial cells found in the kidneys, lungs, and sweat glands. The ENaC transports sodium into cells. The mutation changes a domain in the channel so it is no longer degraded correctly by the ubiquitin proteasome system. Specifically, the PY motif in the protein is deleted or altered so the E3 ligase (Nedd4) no longer recognizes the channel. This loss of ability to be degraded leads to high amounts of the channel being chronically present in the collecting duct. This results in a hyperaldosteronism-like state, since aldosterone is typically responsible for creating and inserting these channels. The increased sodium resorption leads to increased resorption of water, and hypertension due to an increase in extracellular volume. The treatment is with a low sodium (low salt) diet and a potassium-sparing diuretic that directly blocks the sodium channel. Potassium-sparing diuretics that are effective for this purpose include amiloride and triamterene; spironolactone is not effective because it acts by regulating aldosterone and Liddle syndrome does not respond to this regulation. Amiloride is the only treatment option that is safe in pregnancy. Medical treatment usually corrects both the hypertension and the hypokalemia, and as a result these patients may not require any potassium replacement therapy. Liddle syndrome resolves completely after kidney transplantation. It is named after Dr. Grant Liddle (1921–1989), an American endocrinologist at Vanderbilt University, who described it in 1963. 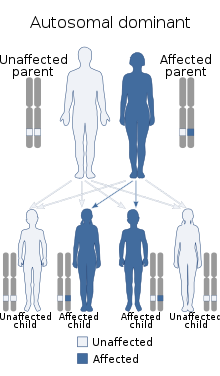 Liddle described the syndrome in a family of people exemplifying a heritable, autosomal dominant hypertension with symptoms of low potassium, renin, and aldosterone. ^ Rossier BC, Schild L (October 2008). "Epithelial sodium channel: mendelian versus essential hypertension". Hypertension. 52 (4): 595–600. doi:10.1161/HYPERTENSIONAHA.107.097147. PMID 18711011. Archived from the original on 2012-07-10. ^ "Liddle Syndrome". Fact File. British Hypertension Society. February 2006. Archived from the original (doc) on 2011-07-25. ^ a b Ingelfinger, Julie R (2018). "Monogenic and Polygenic Contribution to Hypertension". In Flynn, JT (ed.). Pediatric Hypertension. Springer. This page was last edited on 12 February 2019, at 16:16 (UTC).